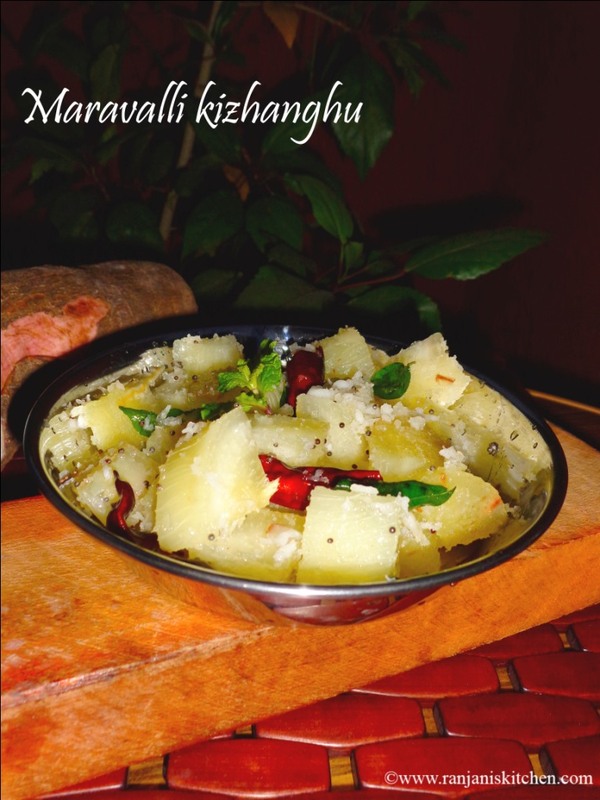 Steamed Maravalli Kizhanghu / Steamed Tapioca – a perfect and healthy snack to have with a cup of tea . 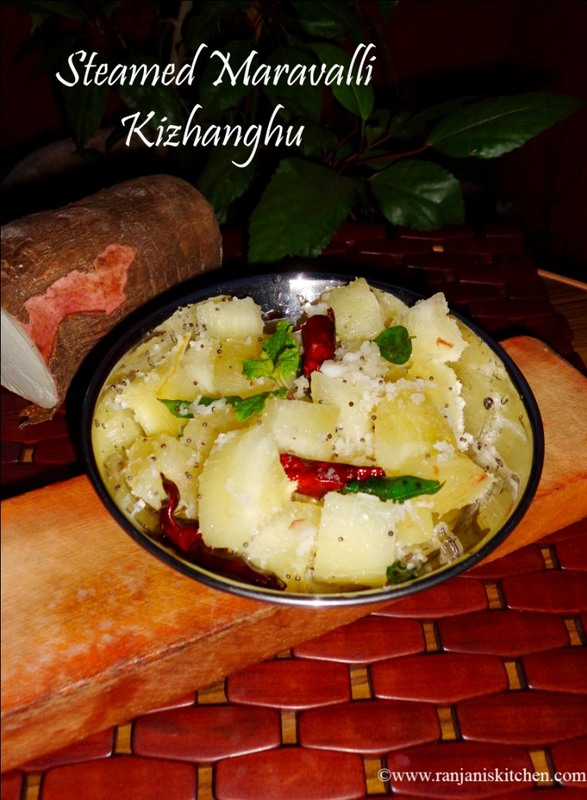 This is my grandma’s recipe (She used to season the steamed kizhanghu with coconut for us. Because we don’t eat the steamed one alone. She has been my sweetheart ever . About the tapioca, it increases red blood count, lower cholesterol, prevent diabetes, improve metabolic activities, protect bone mineral density etc.., But do not preserve the fresh tapioca for a long time. The taste will become bitter. 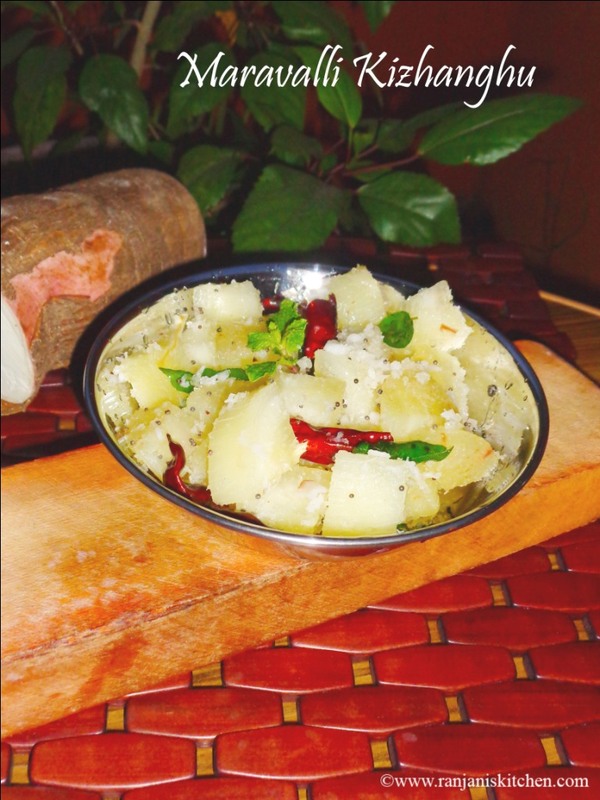 Try this healthy recipe and send the tried pictures. I will be very happy to post all these in Facebook. Take the medium sized kizhanghu, peel the outer strong layer. To peel off easily, slightly halve the outer using knife, then it will easily come off. Wash and cut into 3 to 4 medium pieces. Pressure cook with 4 cups water, 1/8 tsp of turmeric and 1 tbsp of salt. Allow it to cook for 5 whistles, then simmer for 5 mins and turn off the stove. Let the pressure fully release and take the kizhanghu in plate. Cool down and cut into small cubes and keep aside. Heat a wok, add oil, once heated temper with mustard, urad dal, curry leaves and coconut. Add cubed kizhanghu to this seasoning and toss well. If you use a knife to halve the thick outer skin, it will be easy to peel off. If you think the salt is low for your taste, add little more salt. 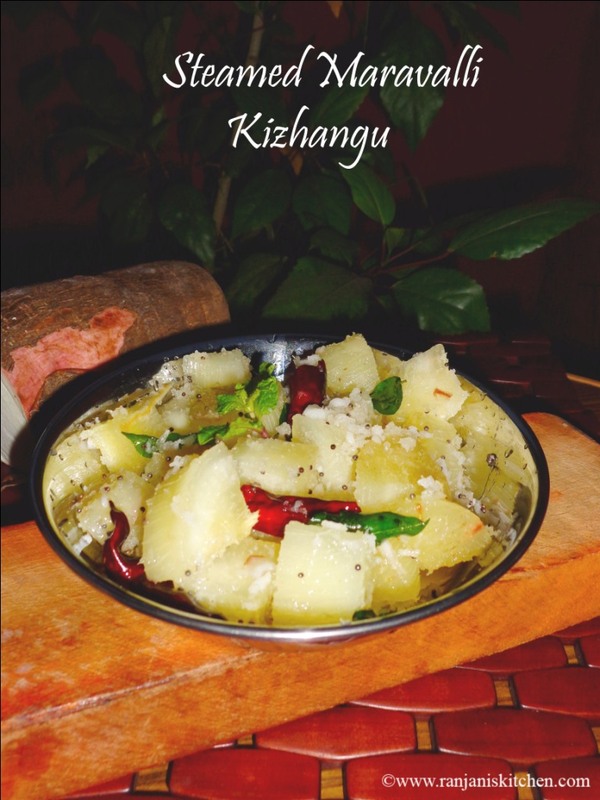 Do not store the tapioca kizhangu for more than 2 days. As my mom told the taste become bitter if we preserve long.